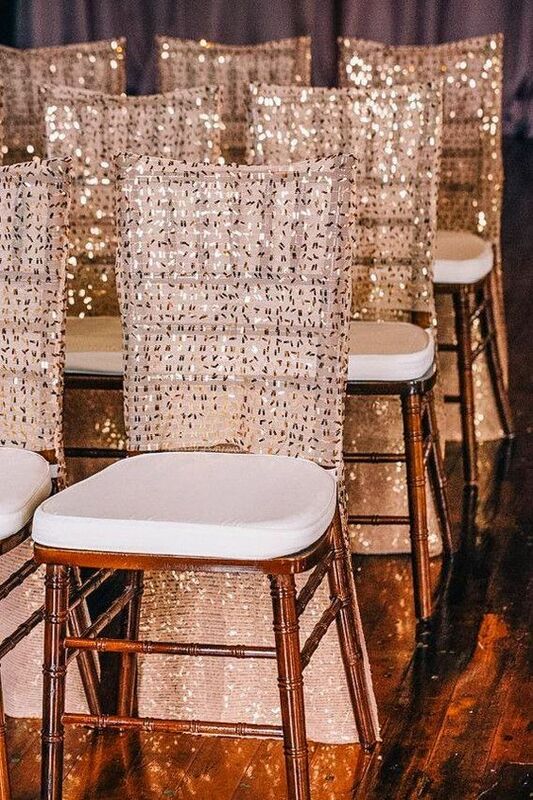 Honestly, I never liked sequins but let me tell you, when people told me my style would change when I got older, they couldn’t have been more right. 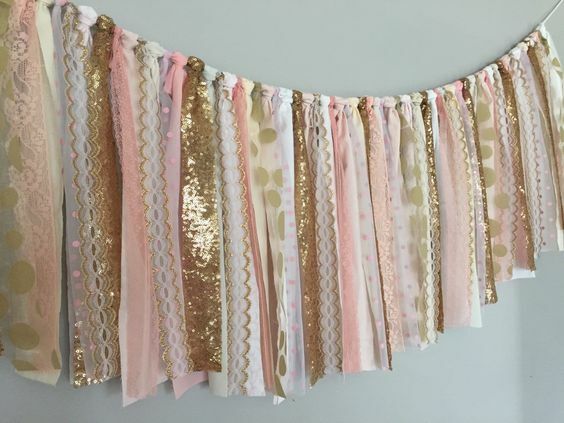 No, my house is not filled with sequin pillows, blankets and rugs but I do think every party needs something unique and elegant to make a statement. 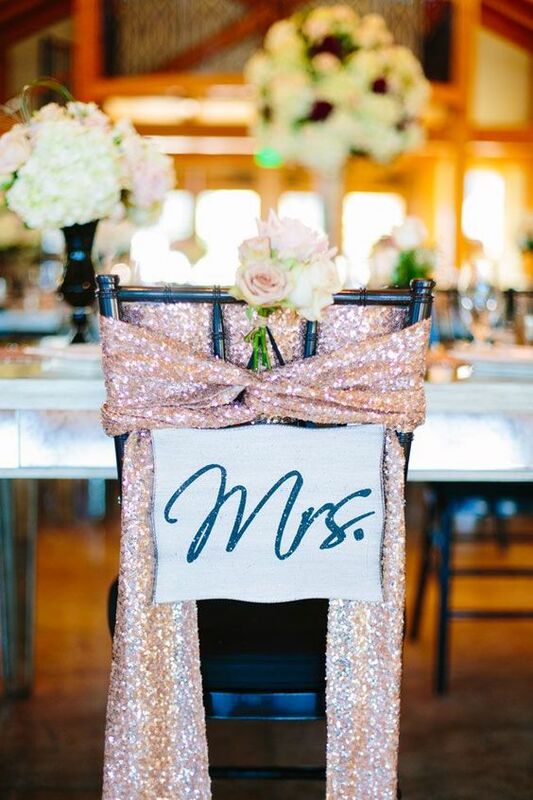 I recently bought sequin table runners and table linens that add just the perfect touch of sequin to any party or wedding. 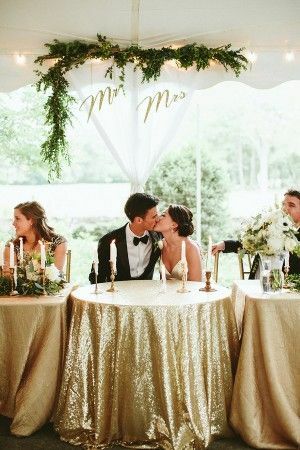 Visit my vendor page to rent my sequin items and get inspired by the images below that inspired me! 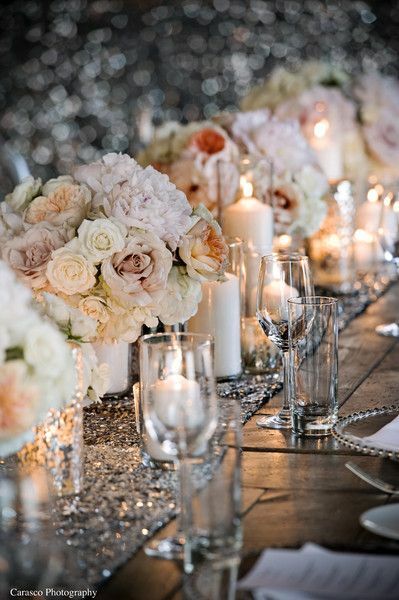 #1- The bride and groom should always be the center of attention at their wedding, so why not glam up the table. Guests are surely bound to notice the stunning couple now. 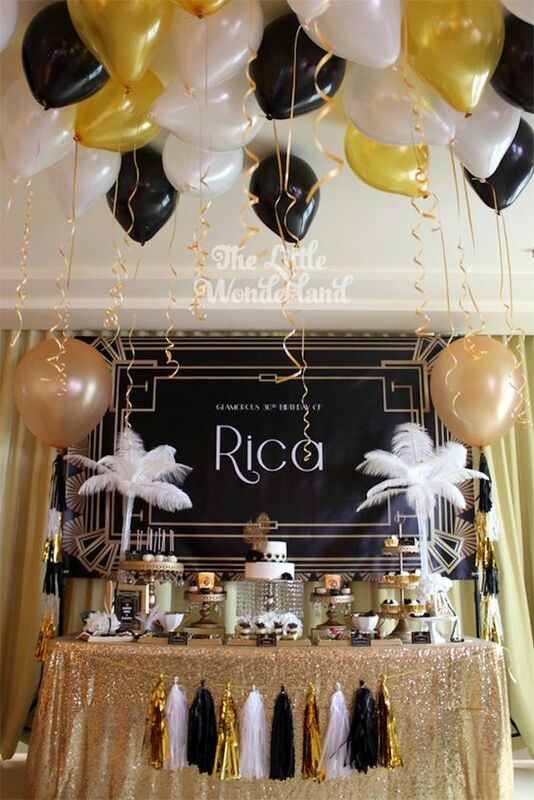 #2- Dessert displays are so common now days that you’re crazy not to have one at your next party. 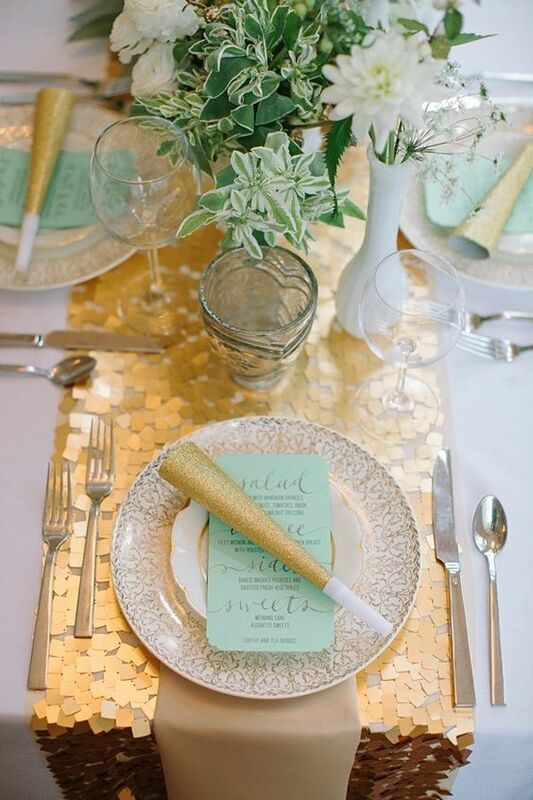 Styling your dessert table will leave a lasting impressions. 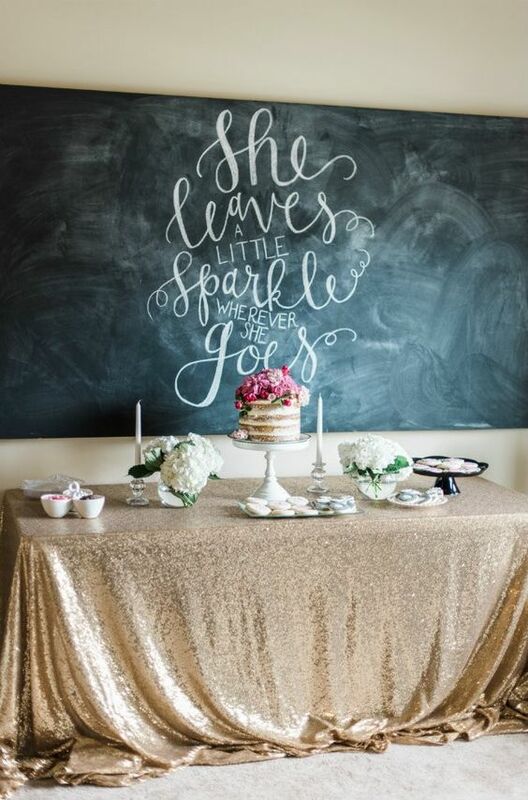 #3- Sequin backdrop! Need I say more. 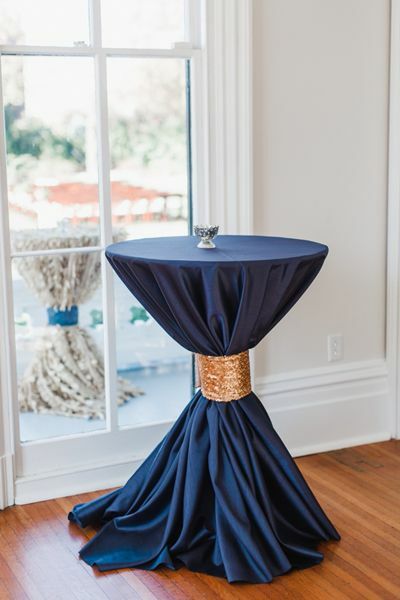 #4- For the sequin minimalists, there’s always another option, table runners. 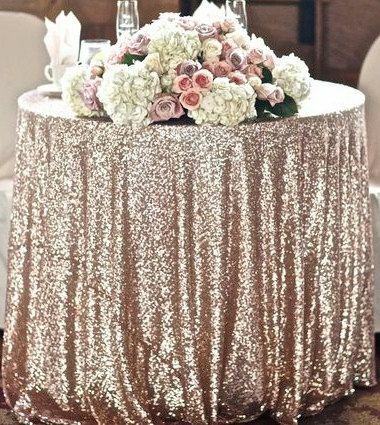 Add a table linen underneath or let the rustic table complement the glam of the sequin table runner, the choice is yours. 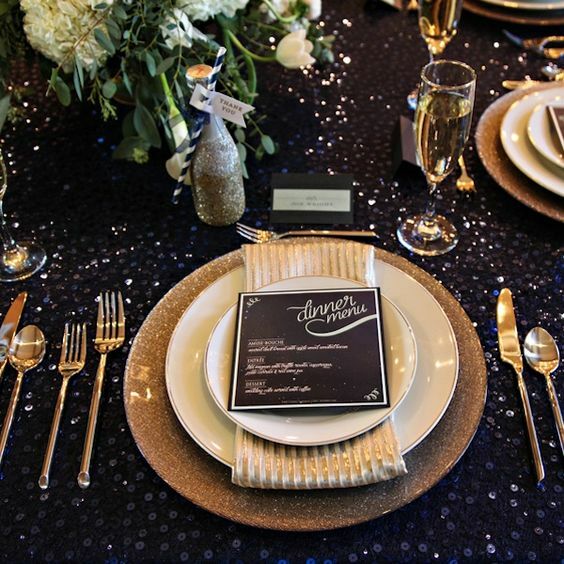 #5- Because of the reflective nature of the sequin, light is illuminated adding a subtle warmth. 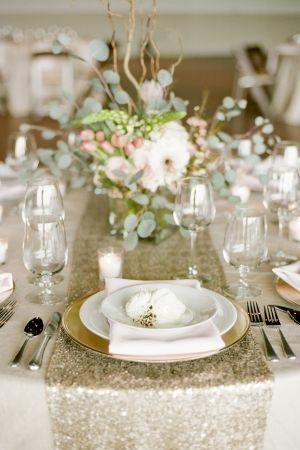 #6- Regular table linens are just the same old material with different, bland colors. 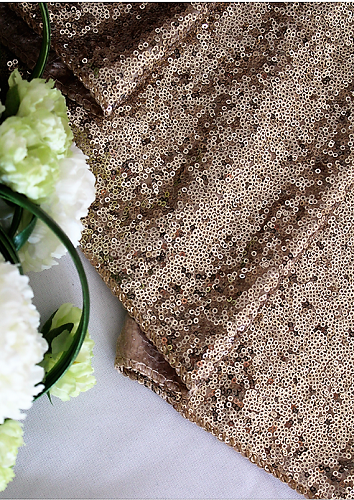 Sequins not only give you metallic tones, but they come in different shapes, sizes and colors. 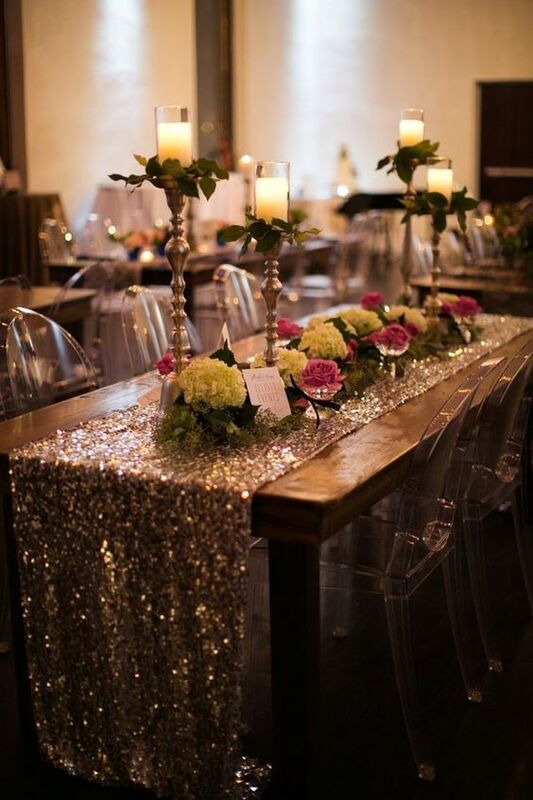 #7- Cocktail tables give a preview of the wedding reception. 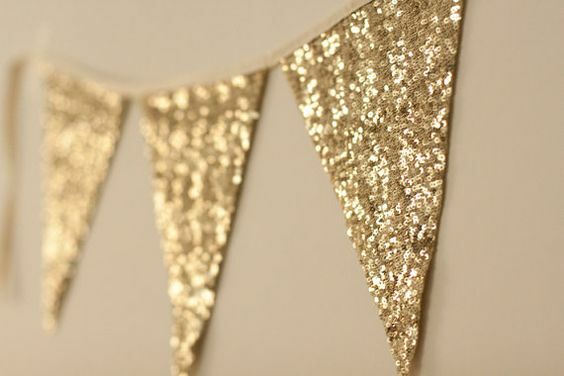 Make the first impression with these simple sequin ribbons. #8- Still not sure about sequins? 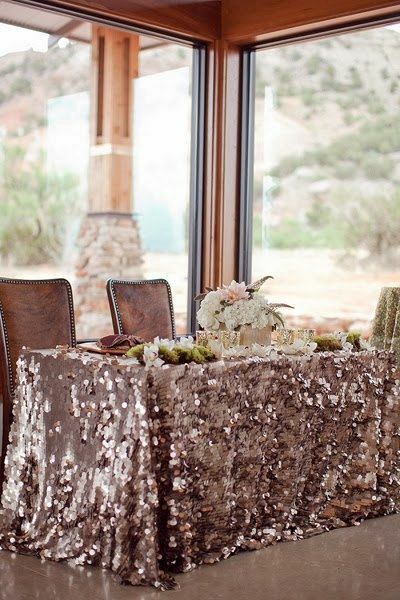 Look at the images below for other ways people incorporated sequins.